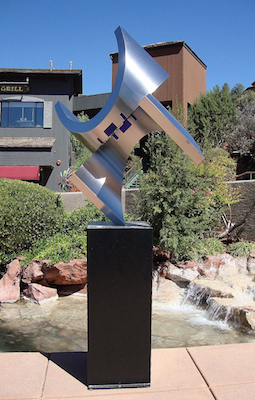 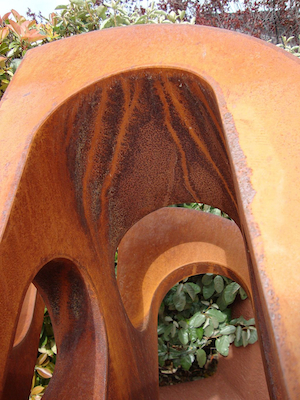 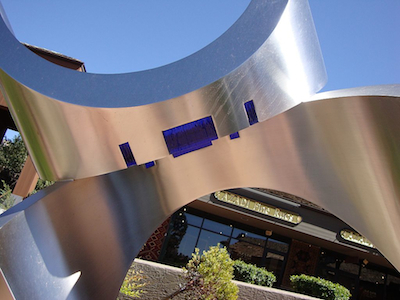 Gary Slater creates only the finest contemporary sculpture, water features, and architectural elements. 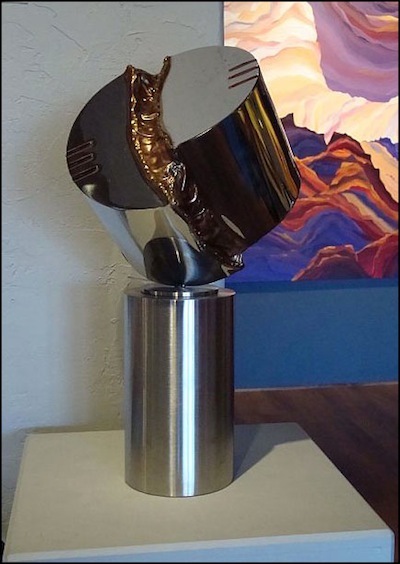 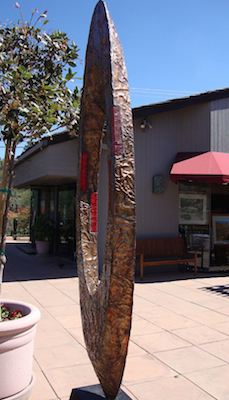 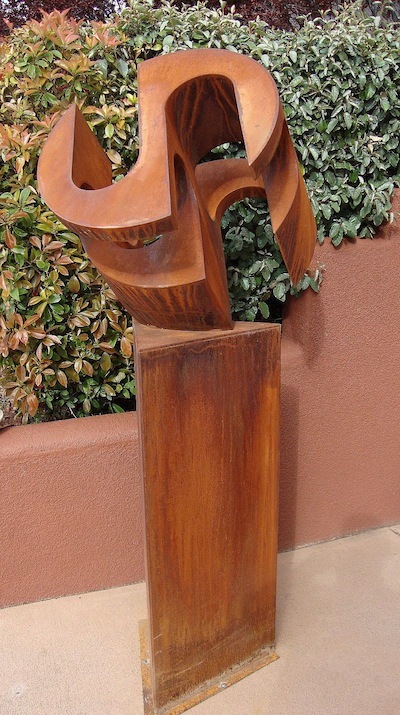 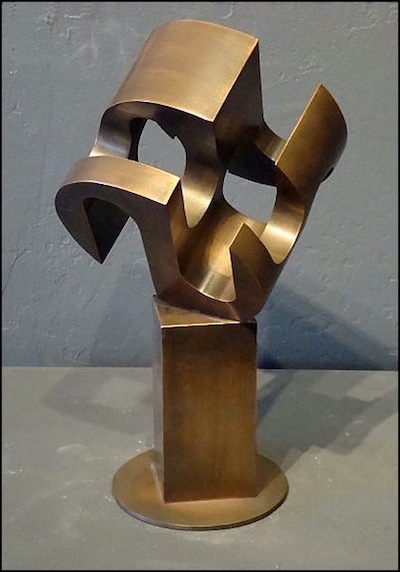 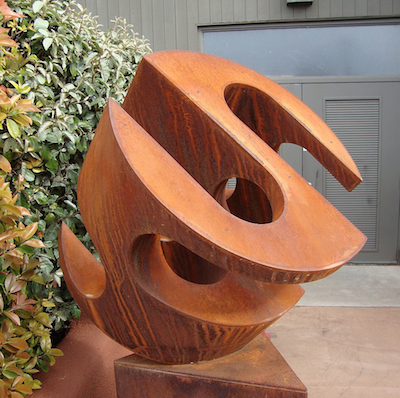 Gary Slater, designated a Master of the Southwest by Phoenix Home and Garden magazine, is proud to have been making sculpture for over 35 years. 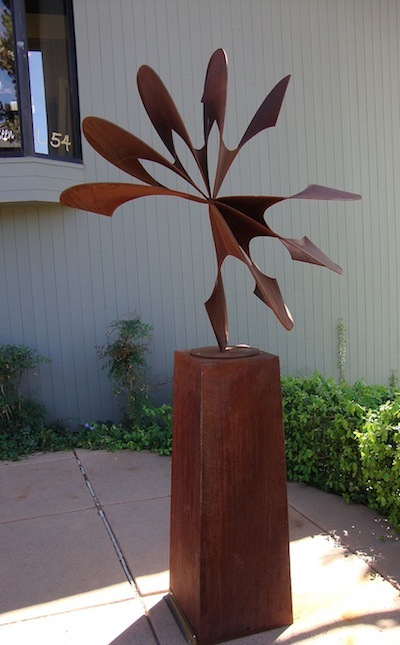 Gary has created sculpture ranging from monumental (28’) to garden size, to desktop maquettes and limited editions of small sculptures. 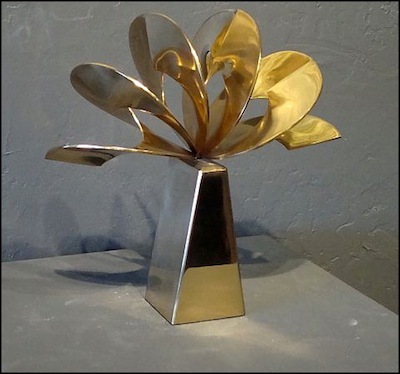 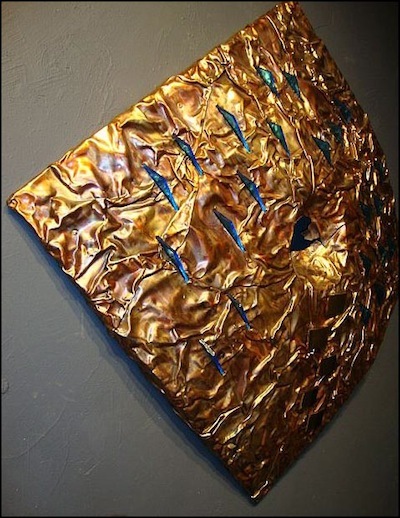 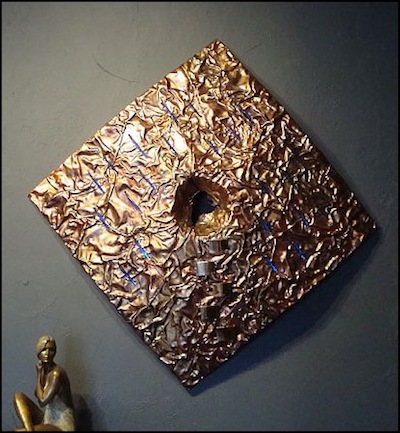 Gary has a wide range of talent and craftsmanship in stainless steel, steel, bronze, copper, and combinations of those metals and other media. 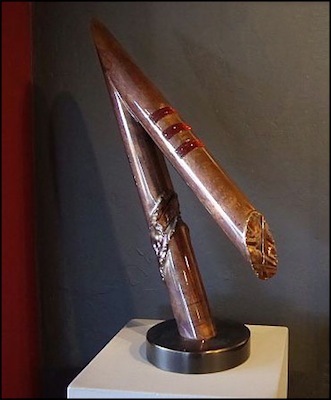 39" x 22" x 9"